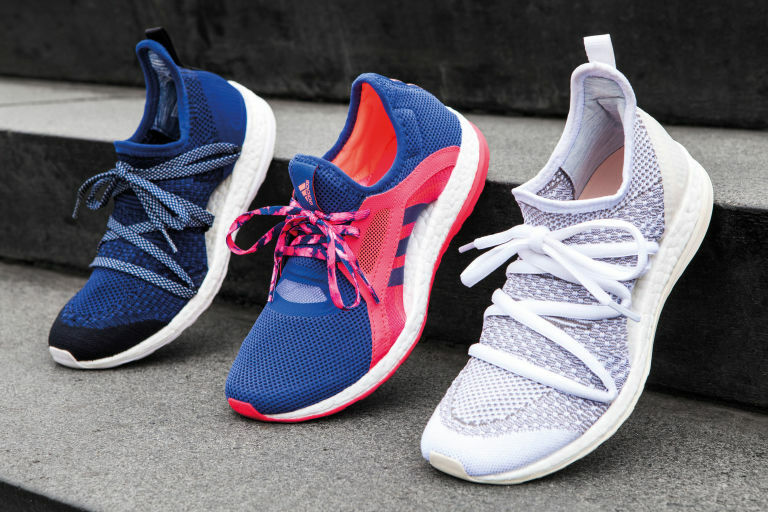 In early February 2016, adidas —in collaboration with female influencers and athletes — launched a women-only running shoe. Introducing the PureBOOST X, made for the “new-age athlete.” But who is that exactly, and what makes this shoe different for this target? Over the last five to 10 years, the fitness conglomerate has noticed a new type of athlete emerging in the market. No longer is it a requirement of these ladies to compete professionally but rather create new paths in their personal lives, conquering challenges and climbing new heights of their own. Whether that’s exemplified by a lawyer-turned-fitness-instructor who is now training for a 100-mile ultra marathon, or an individual who couldn’t run a mile five years ago and is now participating in half-marathons around the world, these females are giving new meaning to the term athlete. The brand described this drive of life as “having no off-season” and these women as “redefining sport on their own terms, every single day.” And out of that premise came PureBOOST X. What we love: The stylish look that many running shoes lack, form-fitting midsole thanks to a floating arch, and the added bounce from the BOOST foam. What we’re wary of: The tight fit around the midsole takes some getting used to, so break it in with ease. The process began by understanding what these everyday athletes wanted in a performance running shoe. 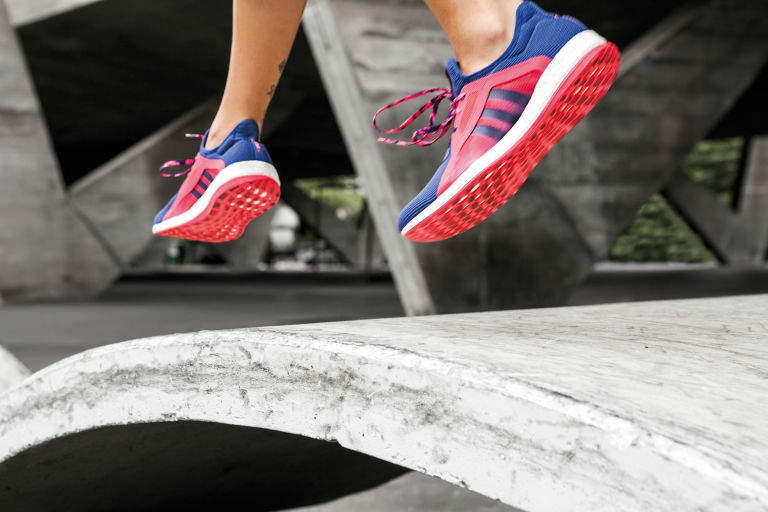 “Women runners want something that is the ultimate combination in performance and style, with no compromise,” explains Jennifer Thomas, senior director for global brands, running, at adidas. Starting with BOOST technology, the foam in the bottom of the shoe maintains consistency in any temperature, from the first mile to the last. It also provides an ultimate amount of energy return with each step taken. 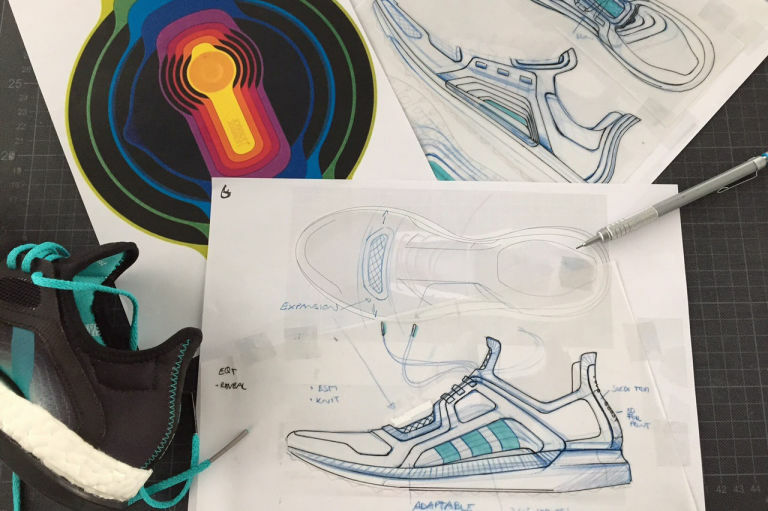 Next, adidas designers used Aramis, a state-of-the-art motion capture technology, to study the female foot and how it moves in a shoe when running. Data was taken from hundreds of female runners around the world. The mesh upper of the shoe, which allows for maximum ventilation and breathability, wraps around and underneath the mid-foot, for a supportive, snug fit. The malleable material also allows for the foot to move naturally in the shoe. The female foot was the inspiration for the design of the silhouette of the shoe — most poignantly the mesh upper and floating arch, in which the upper is completely detached from the BOOST foam sole. The best way to describe the look? Think a replica of a foot fitting resting on a base — like a trophy. The flexible stretch-web outsole adds a grid-like pattern to the bottom of the shoe, too. The shoes are available in three color ways: purple and red, black and teal, and a blue and red print. We had the chance to test out the new PureBOOST X at launch in Los Angeles. First, we love the look of the shoe. Not only does the floating arch give it such a unique look and style, unlike many running shoes — especially those for pronators — the shoe isn’t bulky. It’s slim and the red, blue, and white color way along with the mesh upper that wraps throughout the midsole make it particularly attractive. We could totally see ourselves wearing this shoe to run errands or even just around town without feeling unstylish. When we first put it on our foot, the high, floating arch felt unlike anything we’d ever felt before. The best way to describe it: a hug for your foot. And while hugs are wonderful, the snug fit did take a little time to get used to. However, once we started to run in the shoe, we could immediately feel the BOOST foam kicking in. It was as though our feet had a shot of caffeine, as we felt the bounce and incredible energy return, bounding up and down the stairs of an amphitheater. While we probably weren’t running any faster, it felt as though we could. And as we sprinted down the city streets of L.A., there was never the feeling of mis-stepping or tripping over our own feet. The shoe held tightly onto our feet and moved with fluidity whichever way our foot did. Next, it was time to explore the versatility of the shoe, because while it’s made for running, sometimes your standard workout involves more than just pounding the pavement. So we hit up a boxing gym. The foam, again, put energy underneath each jab and cross we took. However, the BOOST did feel as though it could slip around a bit on the slick hardwood floor, so while we didn’t have any accidents, it’s worth being careful of. At this point, after wearing the shoe for hours, the snug fit did become noticeable. Our recommendation, as with most shoes, is to break them in slowly. Not only does it take some time to get used to wearing a natural running shoe, you also need to get acquainted with the tight fit so the tops of your feet don’t feel sore at the end of the day. The shoe can be worn without socks, if you prefer, but again, that’s not something we recommend jumping into. All in all, we were very impressed by the shoe. It has similar cushioning to the adidas Energy BOOST, pulling aesthetic properties from the adidas Ultra BOOST, but with a tight, sock-like, hugging upper and a natural stride-feel of its own. 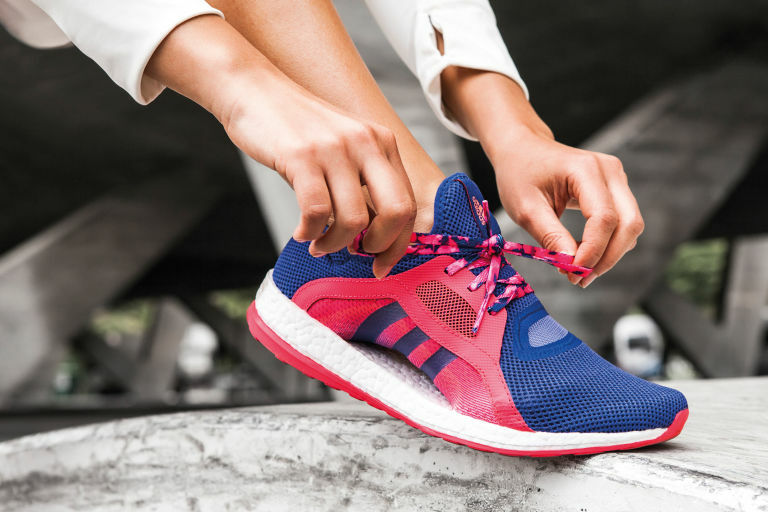 The amount of energy that the BOOST put into each stride we took, mixed with a natural, yet supportive fit of the floating arch — topped off with a very stylish look — leaves us feeling empowered and wanting to run our next race in this shoe.